This is touching… a man and a woman photograph the end of their lives together. I have lost a friend to cancer. Due to the fact that we were not super close, I only saw her sporadically, and when it really got bad, I could not see her anymore. The last communication which I sent to her was in a card, where I said I would see her soon. And though her body is no longer here, I do believe, in some way, that I will see her again. DW, you are missed. Here is a link to the other photographs, and Here is the blog of the project. Love makes things hurt so much more… but it’s probably worth it, to invest everything in something impossibly finite. 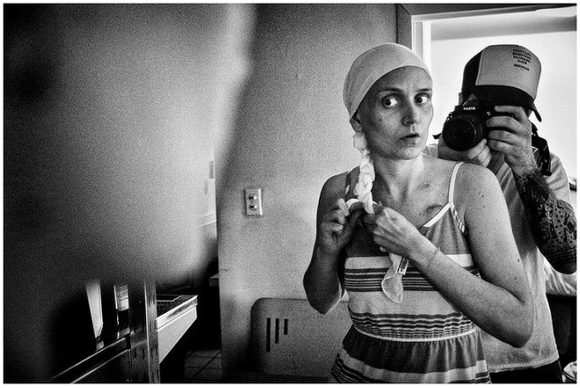 This entry was posted in 2013, cancer, Love, photography and tagged cancer, cancer in stages, love, photography, sad. Bookmark the permalink.